Wash and tear lettuce, and assemble on a plate. 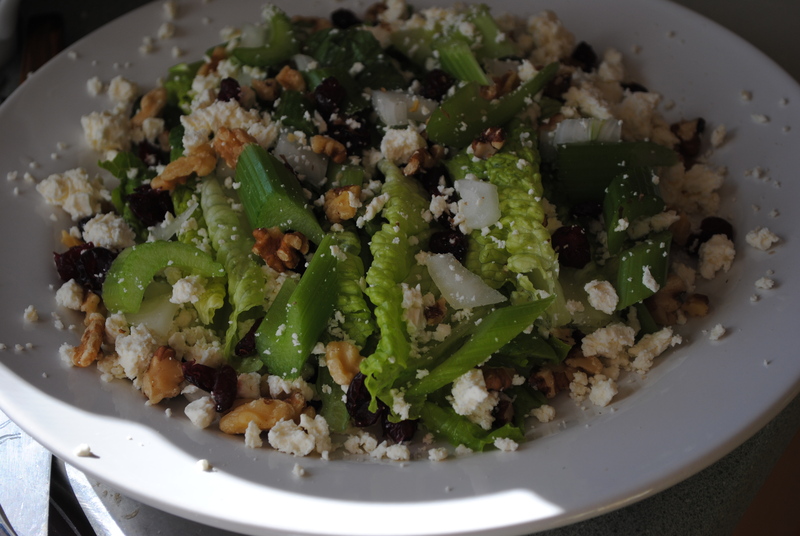 Top with celery pieces, onion, cranberries, walnuts and feta. Add raspberry vinaigrette (or other sweet dressing of choice) Enjoy! I just made this salad for supper and it was just fabulous!! everyone loved it!